With a stay at Le Residenze Ristori in Cortona (Cortona Old Town), you'll be steps from Piazza della Repubblica and 4 minutes by foot from Casali Palace. This apartment is 8.3 mi (13.4 km) from Lake Trasimeno and 0.2 mi (0.3 km) from Museo dell'Accademia Etrusca. Make yourself at home in one of the 23 guestrooms featuring minibars and flat-screen televisions. Bathrooms feature showers, complimentary toiletries, and bidets. Conveniences include safes and blackout drapes/curtains. Make yourself at home in one of the 26 individually decorated guestrooms. Complimentary wireless Internet access is available to keep you connected. Private bathrooms have rainfall showerheads and complimentary toiletries. Conveniences include phones, as well as safes and desks. With a stay at this apartment in Cortona (Cortona Old Town), you'll be steps from San Domenico Church and 7 minutes by foot from Piazza della Repubblica. 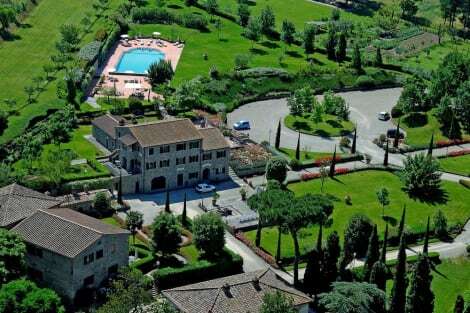 This apartment is 7.9 mi (12.7 km) from Lake Trasimeno and 0.6 mi (0.9 km) from Casali Palace. Take advantage of recreation opportunities such as an outdoor pool or take in the view from a rooftop terrace and a garden. Additional amenities at this Tuscan-style hotel include complimentary wireless Internet access, concierge services, and babysitting/childcare (surcharge). Make yourself at home in one of the 12 air-conditioned rooms featuring kitchenettes. Don't miss out on recreational opportunities including an outdoor pool and bicycles to rent. This farm stay also features complimentary wireless Internet access, a picnic area, and barbecue grills. Take in the views from a terrace and make use of amenities such as complimentary wireless Internet access and wedding services. This Tuscan-style hotel also features a fireplace in the lobby and tour/ticket assistance. 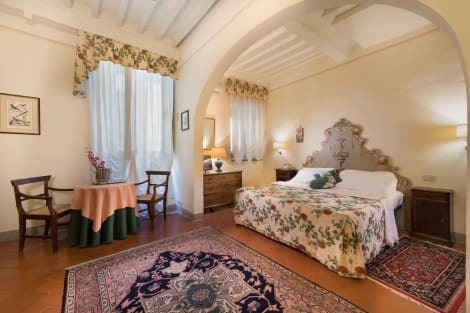 This charming hotel is located in Cortona. Gli Archi & La Quiete features a total of 21 guests rooms. Gli Archi & La Quiete is not a pet-friendly establishment. Make yourself at home in one of the 5 air-conditioned rooms featuring minibars and flat-screen televisions. Complimentary wireless Internet access keeps you connected, and satellite programming is available for your entertainment. Private bathrooms with showers feature complimentary toiletries and hair dryers. Conveniences include phones, housekeeping is provided daily, and you can request cribs/infant beds (surcharge). lastminute.com has a fantastic range of hotels in Cortona, with everything from cheap hotels to luxurious five star accommodation available. We like to live up to our last minute name so remember you can book any one of our excellent Cortona hotels up until midnight and stay the same night.